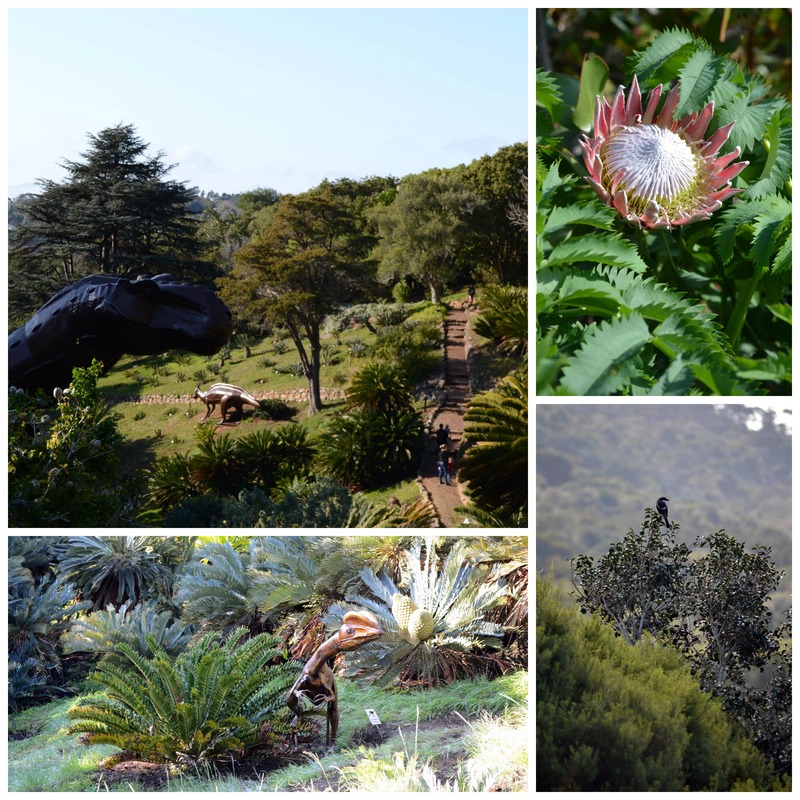 How is it possible that I’ve visited Kirstenbosch National Botanical Gardens so many times and yet, on Saturday, I still found myself discovering new areas that I hadn’t explored yet? I have rocked out to Bryan Adams, sang Christmas carols and walked the Boomslang and yet it was the first time I’d visited the garden of King Proteas. Did you know that there is a grave in the Gardens? I didn’t! I will share some more about the grave and what we learned about on our Facebook page. We hope you will like the page and keep an eye out for the story soon. A number of bloggers have written about the Dinosaur exhibit that will be part of the gardens for the next few years. The dinosaurs are imposing and realistic enough to make your heart skip a few beats when you see one peaking out from behind the fronds, but subtle enough that they don’t stick out like a sore thumb and spoil the beauty of the landscape. The dinosaurs were placed in the area of the gardens that is home to the cycads. This is to raise awareness that these ancient trees risk extinction because people are carelessly digging them up and selling them along the road side throughout South Africa. You can learn more about the Cycad Society here. We took our time exploring the gardens and literally stopped to smell the flowers. The kids couldn’t wait to walk along the Boomslang again so they raced down the paths as fast as they possibly could, while we tried to keep an eye on them and enjoy the garden for ourselves. 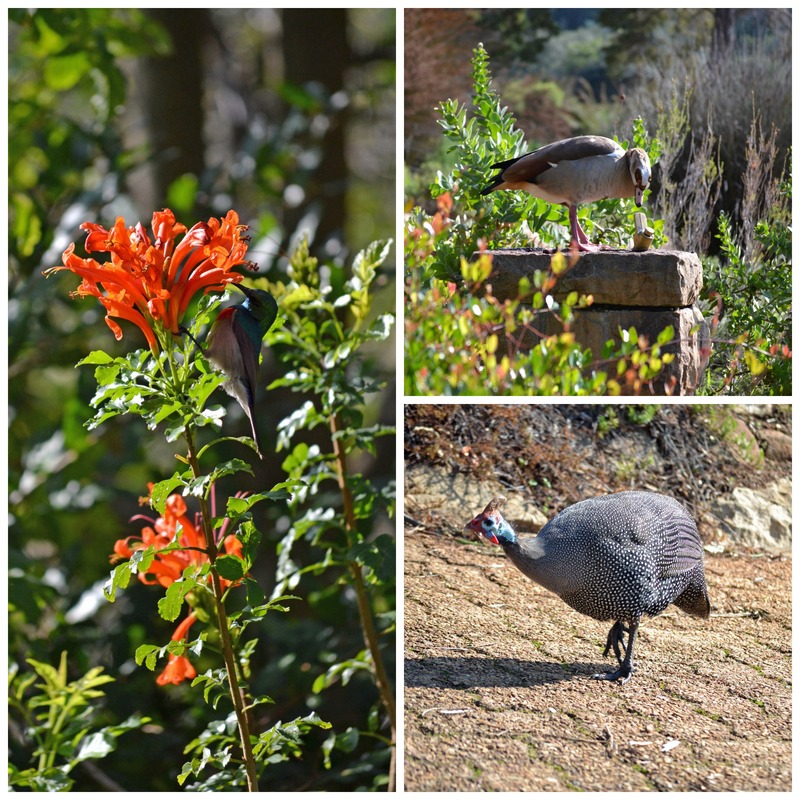 Kirstenbosch National Botanical Gardens does away with their normal entry fee of R10 for school children over the school holidays so you’ll be glad to know that you won’t have to pay for their entry ticket. Considering how much you and your kids will learn, you probably won’t even mind paying R50 per adult so that the children can run free for a few hours. So, why not fill your car with as many kids as you can and take them out for a morning of fun and learning over the school holidays? It will be worth it, I promise! If you don’t have access to a car and need a few cheap outing ideas for the school holidays, check out last week’s blog post here. We will be sharing more pictures on our Instagram account so let us know what you think.